We’ve all been there! You’re doing your best to prioritize your self-care and have a string of days or even weeks under your belt of better sleep, eating, exercise or maybe even journaling and you feel amazing… only to have it interrupted by an important/ urgent “something” that derails you? The beautiful momentum that was building up is broken and you tailspin into days or even weeks of struggling to get back to that radiant you, that you had caught a glimpse of. 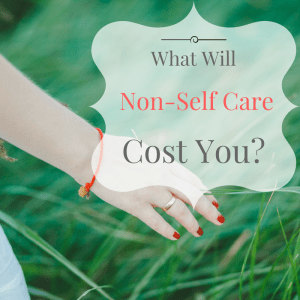 What Will Non-Self Care Cost? Let me ask you something, have you ever considered what’s at stake in not making your self-care a consistent and non-negotiable part of your life? If your self-care doesn’t ever get the chance to grow from an effort, to a habit, what will your life look like this time around 2019? 2020? Is there someone you love with all your heart that will be adversely affected by your non-self-care? After decades of keeping up a self-care routine through many bumpy and happy times, what I know to be true is this: if it won’t cost us much in not keeping it up, we simply won’t. Until then, our initially fragile time in self-care is threatened by the other activities already established in our life. So what gives your self-care attempts a fighting chance at being chosen OVER those OTHER important things that “come up”? 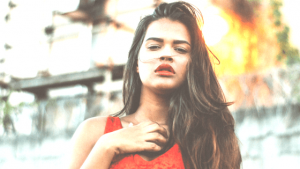 The emotional clout behind your self-care efforts is what tips the scales in their favor when you’re faced, yet again, with the choice to give your attention to the other things or your self-care. Look at it this way; we each have a bandwidth of energy and focus that we can sustain on an everyday basis. This bandwidth largely depends on our health, temperament and age. Let’s decide that each activity in our daily life is a ball we juggle. The length of this bandwidth is directly proportional to the amount of activities we can juggle. More bandwidth=more activities. Can’t Keep That Ball In The Air? When the activities surpass our bandwidth, the balls start to fall as in, mistakes are made and consequences ensue. Have you ever gotten sick and decided to still go to work? You come home and collapse, so no dinner, no laundry, no homework checking for the kids and until it passes, life at home, pretty much begins to fall apart. Your choice to still go to work while your body was healing from that sickness, surpassed your bandwidth. We only have so much bandwidth, so the balls we choose to take on, naturally matter to us. If you take a second to consider the consequences in not maintaining those essential activities like payments to a mortgage, attending classes towards a degree, doing a job or quality time with our loved ones, do you cringe in fear? Does the thought of your future with those activities maintained, pump you up? These emotions fuel us to keep those activities going, rain or shine. The more an activity matters to us, the more energy it fuels us with. Our self-care needs to be as essential as all the other activities we currently juggle, if not more. I offer to you, a key insight about self-care that fueled me with enormous energy to maintain it. Self-care grows my capacity to juggle more. When I’m well cared for, I give more of my most focused, attentive, centered, effective, kind, patient and energetic self. What’s more, consistent self-care creates reserves within me to be more of these qualities in the challenging times, when it’s the hardest. I give, create, organize, plan and do more when my self-care is, for my standards, top notch. Until that connection was made, I continued to let “urgent and important” things get in the way. You will be more effective in your job, patient with your child, resourceful in emergencies, creative in your hobbies, wiser with your finances, a more loving partner, friend, daughter, etc., when you have consistently cared for yourself. If we as jugglers are the principal force that keeps all our important balls in the air, then self-care needs to be the central aspect of our life to ensure, that we not only continue to juggle what matters to us, but juggle it BETTER. We all need to lengthen our bandwidth; we’re all up against greater amounts of stress with all the uncertainty in our world today. Ether we let the stress continue to shorten our bandwidth and inch us closer to burnout, or we allot a certain part of our day, every day, to actively building it. What means the world to you? What fills you with emotion simply thinking of it? Is it a loved one or a passion project? Are you in school to change your career towards a direction that excites you? Do you volunteer for a cause you’re passionate about? Do you care for an aging parent? How would that/him/her benefit from receiving the attention of a better-cared-for-you? When you’re well cared for, what kind of experiences are more likely to happen when you’re tending to that person or thing that matters to you? Considering your answers to these questions, is the effort to continue trying to make self-care a habit, worth it to you?